Kathryn Price NicDhàna, Publishing: The authoritative source of Kathryn Price NicDhàna's personal information, links, and social activity. Mar 18, 2014 Bandia.net – Kathryn Price NicDhàna's personal site. Amhran nam Bandia – Kathryn Price NicDhàna's blog on Gaelic Polytheism, cultural preservation and Indigenous solidarity. By: Kathryn Price NicDhàna on November 20, 2008 at 7:26 pm. Agus mòran taing, a Chatrìona! We'll be posting more information soon. Liam. Honorary Stardancers... Kathryn Price NicDhàna... Movie project based on Jeanne and Spider Robinson's novels about zero-gravity dance and cross-cultural communication. The struggle for sovereignty in the First Nations has many parallels to the struggle for sovereignty in the Six Celtic Nations. Both of our peoples have struggled against colonization, cultural and physical genocide, and our relatives have also sacrificed their lives in the struggle for independence from foreign rule. For decades now, Indigenous people have responded to non-Natives who want to practice Native religion by telling non-Natives to look to our own ancestors, our own earth-based traditions. Those of us who have taken this challenge to heart, and implemented it in our lives, have learned that the surviving lifeways of our Celtic ancestors are also endangered by appropriation and misrepresentation. Uma Metodologia para Trabalho com Crann Ogham (a.k.a. Raven e Kathryn se Perdem na Floresta) por Raven nic Rhóisín e Kathryn Price NicDhàna Versão em português por Marcílio Diniz e Priscilla Tschá Nos últimos seis a treze anos, as autoras tem feit. Síla na Géige is the Cailleach as Creator. She is the Hag of the winds and of winter, the Old Woman who lives in the stones. She is Sheelah with her branch, who strikes the ground with her stick to make the earth freeze, who washes her plaid in the whirlpool of Coire Bhreacain to bring the snow that covers the land. The Monster Teddy Bear has Migizi Pensoneau's Pow Wow MC voice. The Gaol Naofa Gaelic Polytheism FAQ builds on the foundations of the broader-based CR FAQ to go into more depth on the Gaelic Traditions, specifically as preserved and practiced by the Gaol Naofa community. Crowther has exploited the seekers looking for a real Elder to advise them, and fed them illusions, not wisdom. By inventing a "tribe" she has exploited the lonely people who are looking for community, as well as the citizens of real tribes. Today the feast day of St Patrick is more a celebration of Irish heritage than it is of the saint himself, but many misconceptions about Patrick, and Ireland and Irish Identity in general, still abound. Let us debunk some of them for you. The first in a series of two videos and an article on the topic, this video explores some of the harmful stereotypes, vs historical realities, around this day in Spring. The Aboriginal Press News Service is the official, non-partisan newswire of the Aboriginal News Group (ANG) which seeks to support, educate & unify Indigenous blog-journalists covering news data important to marginalised communities. TEMATOETECOMO. Ou, o Guia de um celta Bem intencionado para Bio-regiões Não-célticas Por Raven nic Rhóisín e Kathryn Price NicDhàna (Versão para o português por Marcílio Diniz e Priscilla Tschá) Uma boa analogia é difícil de achar. by Kathryn Price NicDhàna and Treasa Ní Chonchobhair. Brigit búadach, Búaid na fine, Siur Rígan nime, Nár in duine, Eslind luige, Lethan breo. Ban-líaig, fili, breithem, Mumme Goídel, Riar na n-óiged, Oíbel ecnai, Ingen Danu, Duine úallach, Brigit búadach, Bethad beo. Comairligtheóir (“Advisor”) – Kathryn Price NicDhàna. The Comairligtheóir oversees the overall production and evaluation of publications, and the informational and educational materials produced by Gaol Naofa. About Kathryn Price NicDhàna: I'm a Gaelic Polytheist in the diaspora, a guest on illegally-occupied NDN land, with a deep commitment to protection of sacred sites and ceremonies. Kathryn Price NicDhàna and friends host The CR FAQ - An Introduction to Celtic Reconstructionism, The Tara Protection Rituals, and a handful of related articles. "A Beginner's Guide to Old Irish Pronunciation" by Annie Loughlin. "Daily Rites" by An Chomhairle Ghaol Naofa. "Pagans, Polytheists, and St Patrick’s Day" by Sionnach Gorm. Etc. CAORANN - Celts Against Oppression, Racism, and Neo-Nazism - stands in solidarity with Idle No More. ‎Caorann - Celts Against Racism. "Unarmed man shot in ‪#‎Elsipogtog‬ and phone service cut to local area. Call the U.N. and get observers in there!" The Canadian government has violated the treaties. The initial agreements were for the colonists to deal with the already-existing First Nations on a nation to nation basis. But the Canadian government is now trying to strip away their last rights as sovereign nations. With Tara under siege, the recent celebration of the Samhain holiday has taken a new meaning for Celtic Reconstructionists beyond that of the “Celtic New Year” — a chance to send prayer and energy back to Tara. The community has arranged a grassroots initiative to light individual fires on hilltops and in fields and homes around the globe to show spiritual solidarity with their ancestors — and to signal to the Irish government that they are united in protecting Tara. Works by Kathryn Price NicDhàna: The CR FAQ: An Introduction to Celtic Reconstructionist Paganism. Preview the hardcopy version here. Temraig – A Brazilian, Portuguese-language CR website with articles and resources. See also (CR and non-CR links of note). Reconstructing Ireland at Home – an article by Andrew Nusca, with Kathryn Price NicDhàna, Paul Pigman, about CR and the controversy surrounding Tara, originally published by Irish Voice (pdf). Details about The CR FAQ : An Introduction to Celtic Reconstructionist Paganism by Kathryn Price NicDhàna, Kym Lambert ní Dhoireann, Erynn Rowan La. Or buy direct from Lulu. From ancient Celtic formulas like "I swear by the Gods by Whom my people swear", it seems clear that people probably didn't even share the names of their deities with outsiders, let alone the details of their religious practices. In other cases, we know that collections of traditional prayers and poetry such as the Carmina Gadelica are so valuable because, while a practice may have been fairly common knowledge, the actual prayers that accompanied that practice were usually a well-guarded secret. The Indigenous woman's voice is drowned out, and James Ray's replaces it. His voice is broadcast over the Internet, as hers is reduced to background noise, and then forgotten. Misinformation and fantasy replace traditional knowledge. 3. Don't Colonize Indigenous Identities. Appropriation is not Solidarity. Recently my Native friends and I have encountered a very bizarre phenomenon. There are non-Natives who are claiming to be anti-racist activists, and who are claiming they want to be allies of Native people, but they are also promoting the idea that they can choose to become "indigenous" themselves. A series of posts on the use of sweat lodges by non-Natives, including: "Racism and Invisible Indians in the James Ray Trial," "New Age Death Sweats IV: Jackboots at the Seder Table - Comparative Genocide 202: The Nazi at the Seder Table and the Myth of the Universal Sweat Lodge," and "Cultural Appropriation Post #949 (but with quotes from Sherman Alexie!)" James Ray was able to get away with killing these people due to two things: racism and greed. Racism led otherwise-intelligent people to think they could trust a white man to lead ceremonies that Native people had said he had no right or ability to lead. And they were greedy enough that they bought the illogical proposal that if they did his silly and offensive newage rituals that it would bring them material riches. Official Blogger profile. On Blogger since May 2005. Official Blog: Gaelic Polytheism, Language and Cultural Preservation, Indigenous Solidarity. Ioma-Dhiadhach Ghàidhealach / Ildiachaí Gaelach. Language & cultural preservation, protection of sacred sites, staying in touch with those doing similar work. Buy Kathryn Price NicDhàna books in India. An Introduction to Celtic Reconstructionist Paganism Kathryn Price Nicdhna, C. Lee ... guide was written by Thomas Leigh, assisted by Kathryn Price NicDhàna. Videos on the festivals, language, music, humour, and other content we think may interest our members and friends. Gaol Naofa is an Irish phrase that roughly translates to “sacred kinship.” Gaol Naofa is committed to the practice and further advancement of our Gaelic Polytheist Lifeway (Ár nDóigh Bheatha Ildiach is Gaelach / Ar Dòigh-Beatha Ioma-Dhiadhach Ghàidhealach), and to the preservation and protection of the Gaelic cultural continuum as a whole. An Introduction to Celtic Reconstructionist Paganism by Kathryn Price NicDhàna et al. Our lifeway is very practical and integrated with the activities of daily life. So, if you are living this way, it's less a matter of deciding whether or not to "teach" them about "religion," but rather a matter of simply including them in normal, daily activities, bringing them to ceremony with you and praying and singing aloud so they can learn liturgy, and explaining things in an age-appropriate manner when they ask (or when you decide an explanation is needed). by Kathryn Price Nicdhana et al. Paperback, 204 Pages, River House Publishing. The term "witchcraft" has long had a very specific meaning within Celtic cultures, and it is one that is wholly negative. Most of the Gaelic magical practices that Neopagans attempt to include under the "witchcraft" label are not, historically, viewed as witchcraft. PDFs of our longer articles. Um, some of them are book-length, basically. Nov 13, 2009 - Another classmate, Kathryn Price NicDhana of Maryland, recalled how Zare would share her own work "but also give us room to discover our own creative process and visual style." "She was one of those rare teachers (and rare adults) who treated us as intelligent, mature individuals," NicDhana said. The borders were drawn by invaders to these lands, sometimes cutting right through the middle of tribal lands. These migrants who are now seeking a better life, or fleeing persecution, are no different from our ancestors who did the same thing. Due to her insistence on ripping off Lakota ceremonies, I will no longer be collaborating with Erynn Rowan Laurie on any sort of Celtic or Gaelic projects. Due to her repeated violations of our core principles opposing racism and cultural appropriation, I no longer consider her a Celtic Reconstructionst (CR). 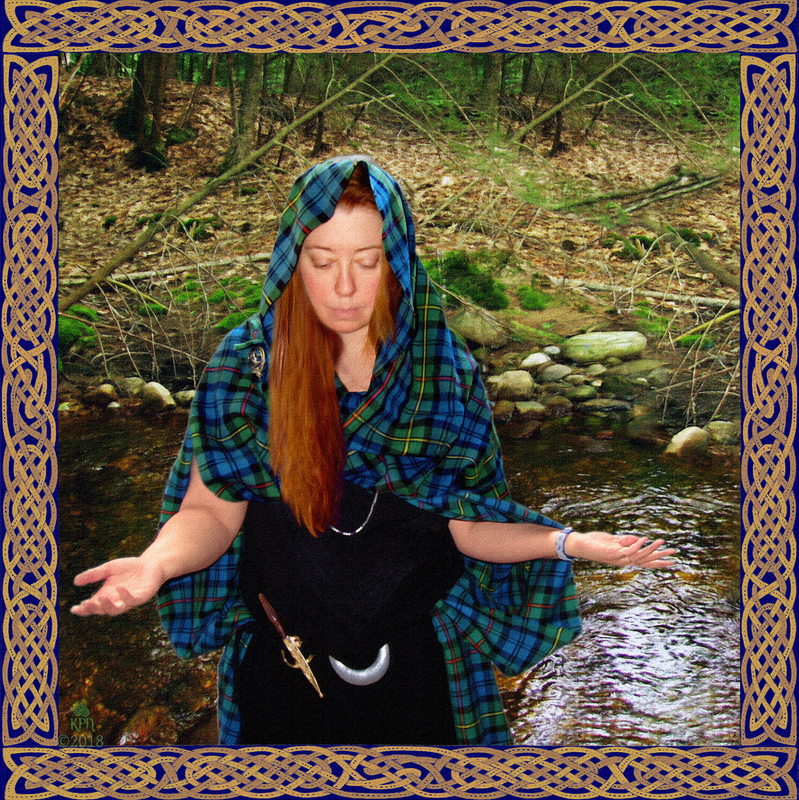 Official, online version of the Celtic Reconstructionist FAQ. PDF of Andrew Nusca's Irish Voice article about our co-ordinated, worldwide ceremony for the protection of the Tara-Skryne Valley in Ireland. by Noel Purser Rosario. The situations that disturb me, are when people use these unsubstantiated family claims to assert that they are contemporary representatives of intact tribal communities, especially when they do this at very sensitive, inappropriate times. We were able to give a grant thanks to a very generous donation from River House Publishing, an organization run by two ACGA members...Due to their interest in preserving Gaelic language and culture, they are donating 100% of the proceeds from the sale of the CR FAQ. An Introduction to Celtic Reconstructionist Paganism Kathryn Price NicDhàna et al. Barnes & Noble - Kathryn Price Nicdhàna - Save with New Lower Prices on Millions of Books. FREE Shipping on $25 orders! Interview with Kathryn - Gaelic Polytheism and Celtic Reconstructionism. Most of us have migrated away from LiveJournal, but there's still a lot of content here, and may use it more when we all get sick of FB. Another online bookstore that carries the FAQ. View Kathryn Price NicDhàna's profile on LinkedIn, the world's largest professional community. Kathryn Price has 4 jobs listed on their profile. See the complete profile on LinkedIn and discover Kathryn Price's connections and jobs at similar companies.